Why do investors need XTBs in their portfolios? The post-GFC period has been characterised by ongoing market turbulence. This has been driven by a sequence of global and domestic events that have arisen as a result of the GFC, subsequent recessions in many countries, and the instability of financial and political systems in some countries and regions. Globally and in Australia this has caused ongoing investor uncertainty and caution. The lack of confidence in the years since the GFC can be seen in metrics such as the value of household savings held in bank accounts, including Term Deposits, which are currently over to $929 billion (Source APRA, Feb 2019). This was less than $100 billion pre-GFC. Australia’s equities love affair over? Pre-GFC Australia had a love affair with equities and property to the exclusion of fixed income. The massive pool of savings in that most basic form of fixed income investment – the bank account, strongly suggests Australian investors have learned the lessons of the GFC. They are now a great deal more diversified across the main asset classes. Demand for yield with less risk, which is what fixed income solutions deliver, is higher now than at any time in recent memory. Recent market turbulence has got Australian investors looking for safer fixed income investments. Term deposits became popular, but with interest rates going down there is a growing demand for higher yielding alternatives. There’s also an increasing awareness about the return potential of investing in bonds. XTB corporate bonds can offer returns up to 40% more than Term Deposits. TDs may enjoy the benefit of protection under the Financial Claims Scheme. Find out more about how Term Deposits and XTBs compare. Term Deposits may enjoy the benefit of protection under the Financial Claims Scheme. 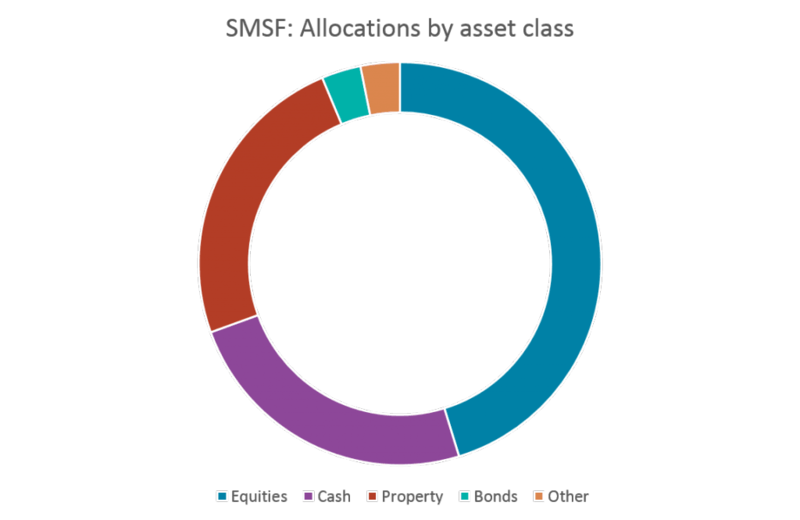 As at 30 Sep 2018 the portion of SMSFs in cash was 23%. This is further evidence of the lack of investor confidence to invest this cash into riskier assets such as equities. SMSFs were estimated to own 16% of the Australian stock market. Only 1.5% of SMSFs was held in bonds. Towers Watson found the entire Australian super system held about 16% of its assets in bonds at the end of 2017. The other seven big super systems globally considered had an average allocation of 31%. Bonds are an important asset class because they reduce portfolio risk by providing true asset class diversification. Bonds are generally negatively correlated to equities. They generally offer higher returns capability than term deposits. Including bonds in your portfolio helps to preserve capital. This is an important factor as people move towards retirement. Crucially, bond coupon payments offer retirees a predictable, stable income in retirement. Download a copy of our SMSF eBook and make sure you have the best of both worlds in your SMSF – Income AND Security. Who are XTBs suitable for? Investors looking for a lower risk investment, such as not-for-profits like schools, universities, charities and councils. The late John Bogle, founder of Vanguard, coined what has become a bond allocation rule of thumb. “Your bond allocation should roughly equal your age”. While clearly un-scientific, he makes the point well that investors need to be aware of the increased need for defensive assets as life moves forward. TD rates are lowest since records began. Make your cash work harder. Infographic: What are Corporate Bonds? XTBs provide predictable, regular income from an investment of as little as $1500, delivering yields that can outperform most Term Deposits. Use our unique Cash Flow Tool to build a portfolio of XTBs and visualise your income in 3 easy steps.